Baum Squad: The Baum Family Blog: Merry Christmas! Wanted to write a quick post to wish you all the merriest of Christmases! Blog posts may be sporadic this week since we'll be out of our normal routine, but I'll post when I can! Hope Santa was good to all of you. 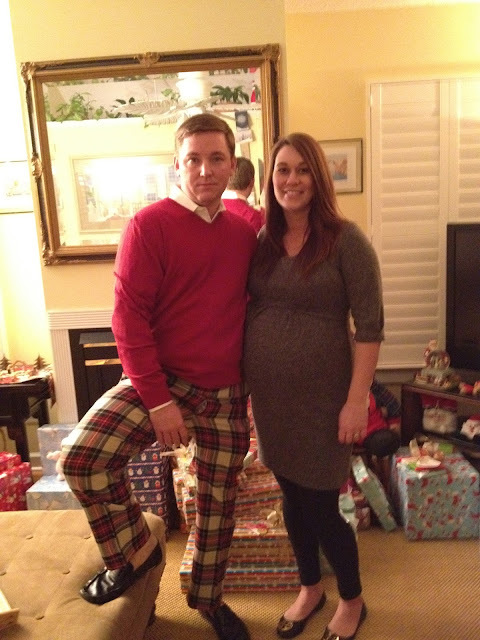 I'll leave you with this wonderful image - yes, he wore this to church on Christmas eve. And yes, he was serious. Blessings to you and yours for happy holidays and a wonderful new year! Bed rest is for the birds. Merry Christmas from the Baums!